WHAT YOU MUST KNOW BEFORE LEAVING MED SCHOOL! 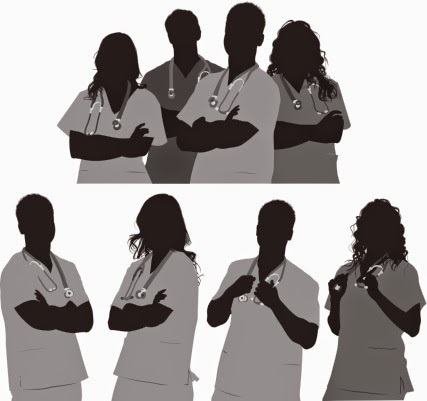 The truth remains that there are as many reasons people enter into medical school to study medicine as there are to choose whether or not to practice the profession following graduation. At a time when the world is agog with the now very popular but deadly "Ebola virus disease", its outbreak in parts of West Africa and recent spread to the United States and Spain, some other parts of the world are having to contend with "Yet Another Viral" disease without a known cure. The Chikungunya (pronunciation:/ chi-ken-gun-ye: meaning, that which bends over in the "Makonde" language of Tanzania and Mozambique) disease is caused by a mosquito-borne virus (meaning it is transmitted to people by mosquitoes). The chikungunya virus was documented for the first time, last December in the islands of St Martin in the Caribbeans, even though it is believed to have existed in parts of Africa, Europe and Asia-Pacific regions for decades. The major symptoms of the disease include fever (usually over 39°C) and severe joint pain (causing infected persons to bend over), others may include muscle pain, headache, joint swelling, nausea, fatigue or rash. Occasional cases of eye, neurological, heart and gastrointestinal complications have been reported. According to Dr Lyle Petersen of the Centre for Disease Prevention and Control (CDC), the virus has an incubation period (time between exposure to manifestation of first symptom) of about 3-7 days, with a range of about 2-12 days. The acute symptoms could resolve within 7 to 10 days but some patients could develop complications in the coming months. Nearly 800,000 people have been infected with the Chikungunya virus in the Caribbeans, majority in the Dominican Republic. Jamaica declared a state of emergency last weekend with estimated reports of about 60 percent of the country's population down with the virus and almost 200 persons are documented to be infected with the disease in Canada according to Canadian Health officials. The United States recently reported its first locally-acquired case of the disease in a man in Florida. 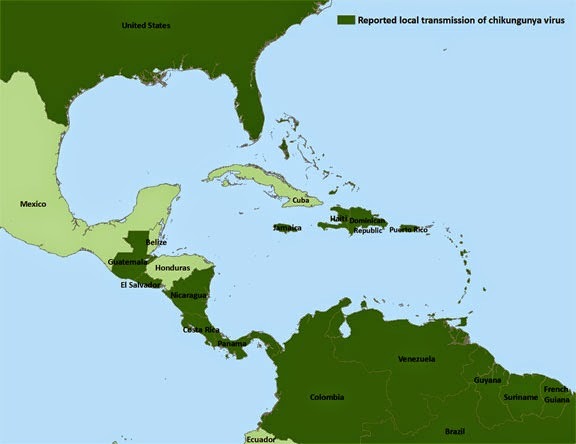 As of October 17, 2014, local transmission have been identified in 36 countries or territories in the Caribbeans, Central America, North America and South America, with a total of 759,742 suspected and 14,035 laboratory-confirmed cases have been reported from these areas (Updated data from Pan-American Health Organization). The fear is that the disease may likely continue to spread throughout the Americas through infected people and mosquitoes as the mosquito which carries the virus in found in many parts of the region including the United States. Moreso, the chikungunya virus is new to the continent and many are not immune to it. Furthermore, as has been the case with the "traveling Ebola" there is definitely the risk of the virus been imported to new areas by infected travelers. There is presently no vaccine nor medicine to prevent or treat the chikungunya virus disease. 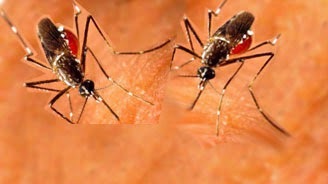 Travelers are advised to protect themselves when traveling to countries with the virus by preventing mosquito bites with use of insect repellents, insecticide-treated nets, wearing of long sleeves and pant and stay in places with air-conditioning or that use window or door screens. Though it is estimated that up to 72%-97% of persons infected with the Chikungunya virus will develop clinical symptoms, Mortality is rare, except in older patients with underlying conditions!....not necessarily "Good" news ,but "Better" news. NEW YORK (Reuters) - A doctor who worked in West Africa with Ebola patients was in an isolation unit in New York on Friday after testing positive for the deadly virus, becoming the fourth person diagnosed with the disease in the United States and the first in its largest city. The worst Ebola outbreak on record has killed at least 4,900 people and perhaps as many as 15,000, mostly in Liberia, Sierra Leone and Guinea, according to World Health Organization figures. Only four Ebola cases have been diagnosed so far in the United States: Thomas Eric Duncan, who died on Oct. 8 at Texas Health Presbyterian Hospital in Dallas, two nurses who treated him there and the latest case, Dr. Craig Spencer. Spencer, 33, who worked for Doctors Without Borders, was taken to Bellevue Hospital on Thursday, six days after returning from Guinea, renewing public jitters about transmission of the disease in the United States and rattling financial markets. Three people who had close contact with Spencer were quarantined for observation - one of them, his fiancée, at the same hospital - but all were still healthy, officials said. Mayor Bill de Blasio and Governor Andrew Cuomo sought to reassure New Yorkers they were safe, even though Spencer had ridden subways, taken a taxi and visited a bowling alley between his return from Guinea and the onset of his symptoms. "There is no reason for New Yorkers to be alarmed," de Blasio said at a news conference at Bellevue. "Being on the same subway car or living near someone with Ebola does not in itself put someone at risk." Health officials emphasized that the virus is not airborne but is spread only through direct contact with bodily fluids from an infected person who is showing symptoms. After taking his own temperature twice daily since his return, Spencer reported running a fever and experiencing gastrointestinal symptoms for the first time early on Thursday. He was then taken from his Manhattan apartment to Bellevue by a special team wearing protective gear, city officials said. He was not feeling sick and would not have been contagious before Thursday morning, city Health Commissioner Mary Travis Bassett said. Owners of the bowling alley he visited said they had voluntarily closed the establishment for the day as a precaution. But the driver of the ride-sharing taxi Spencer took was not considered to be at risk, and officials insisted the three subway lines he rode before falling ill remained safe. "We consider that it is extremely unlikely, the probability being close to nil, that there would be any problem related to his taking the subway system," Bassett said. The U.S. Centers for Disease Control and Prevention (CDC) will confirm Spencer's test results within 24 hours, she said. His case brings to nine the total number of people treated for the disease in U.S. hospitals since August, but just two - Duncan's nurses - contracted the virus in the United States. The New York case surfaced days after dozens of people who were exposed to Duncan emerged from the 21-day incubation period with clean bills of health, easing a national sense of crisis that took hold when his nurses, Nina Pham and Amber Vinson, became infected. "I'm really concerned," said Kiki Howard, 26, a student who lives on the block next to Spencer's home in Harlem. "There's a school at the end of the block. My main concern is for the safety of the children." The health commissioner said Spencer's apartment was isolated and sealed off, noting, "I see no reason for the tenants in the apartment building to be concerned." Still, there were signs that the latest Ebola case had unnerved investors. S&P futures fell 9 points or 0.45 percent. The dollar slipped against the euro and the U.S. 10-year Treasury rose, lowering its yield to about 2.24 percent. The city health commissioner said Spencer completed work in Guinea on Oct. 12 and arrived at John F. Kennedy International Airport in New York on Oct. 17. His Facebook page, which included a photo of him clad in protective gear, said he stopped over in Brussels. Spencer has specialized in international emergency medicine at Columbia University-New York Presbyterian Hospital in New York City since 2011. Columbia, in a statement, said he has not been to work nor seen any patients since his return. A woman named Morgan Dixon was identified on Spencer’s Facebook page as his fiancée. Her Linked-In profile said she worked in nonprofit management and international development with the Hope Program, a career development agency for homeless and welfare-dependent adults. The CDC did not name Spencer but said he "participated in the enhanced screening" instituted for all travelers returning from Guinea, Liberia and Sierra Leone this month at five major U.S. airports - including Kennedy. The doctor "went through multiple layers of screening and did not have a fever or other symptoms of illness", the CDC said in a statement. A broken heart can feel very real for those experiencing the loss of a loved one or significant other. But for some, the emotional stress does quite literally break their heart – at least temporarily – causing symptoms that can mimic a heart attack. Broken heart syndrome is a temporary heart condition usually caused by a stressful or emotional situation. People tend to experience a sudden chest pain or think they are having a heart attack. 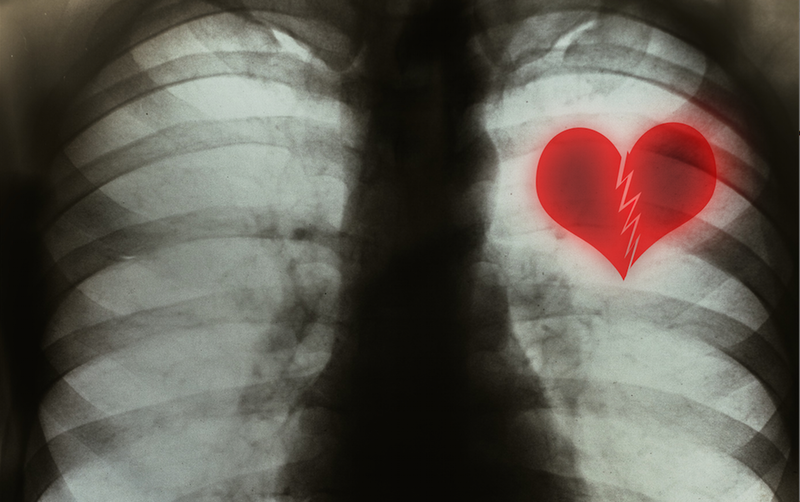 Broken heart syndrome is one of the many names for takotsubo cardiomyopathy, a rare and temporary condition where part of a person’s heart suddenly becomes weakened or 'stunned' - forcing the rest of the heart to work harder. When this happens, the heart’s left ventricle changes shape, developing a narrow neck and round bottom. British Heart Foundation (BHF) says evidence suggests the sudden, excessive release of hormones – usually adrenaline - during these stressful periods causes the ‘stunning’ of part of the heart muscle. With no new cases of Ebola reported in Nigeria over the last 42 days, the World Health Organization (WHO) today declared the country "Ebola Free", a sign of how the deadly virus could have been easily contained had the other West African countries ravaged by the disease acted swiftly. There haven’t been any cases of Ebola in 42 days, said WHO Country Representative Rui Gama Vaz in a news conference in Abuja, Nigeria’s capital. This is following an announcement that Senegal is also rid of the virus. 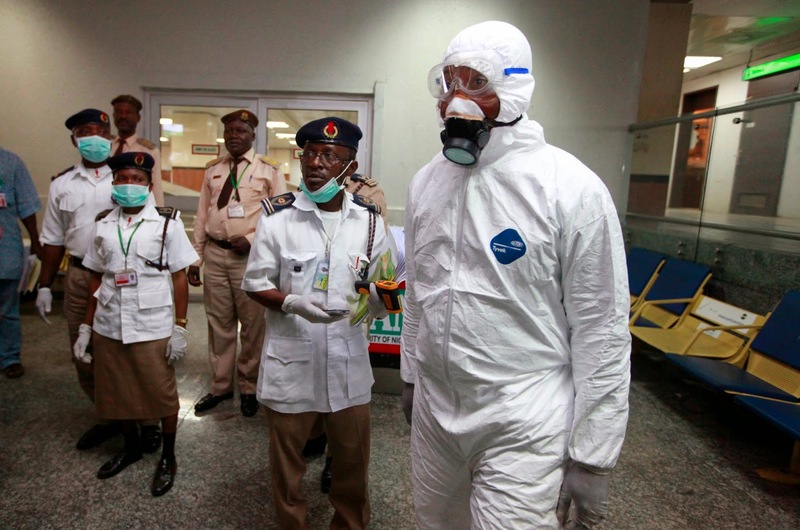 The entire world and health officials particularly were concerned of a possible worldwide outbreak and wary of the spread throughout the world when a Liberian-American "transported" the virus into Nigeria when he flew into Lagos, the Country's most populous city with a population of about 21 million people late July. A different story has been unfolding in Liberia, Sierra Leone, and Guinea, whose governments didn’t notice Ebola had arrived in their interiors until March, four months after the disease first erupted in rural Guinea late last year. More than 4,500 people are known to have died from the disease in those countries, the WHO says. Thousands more are thought to have contracted it without ever being tallied in the United Nations health agency’s records. Meanwhile the United States continue to put in place measures to ensure the diseses which has so far been confirmed in 3 persons in the U.S. 43 contacts of the country's first Ebola case, Thomas Eric Duncan have been cleared after not developing any symptoms following a 21-day period in quarantine, while 4 others are close to the end of the isolation period. Reports from Spain, reveal that the nurse's aide has also beaten Ebola after spending weeks hospitalized with the disease. 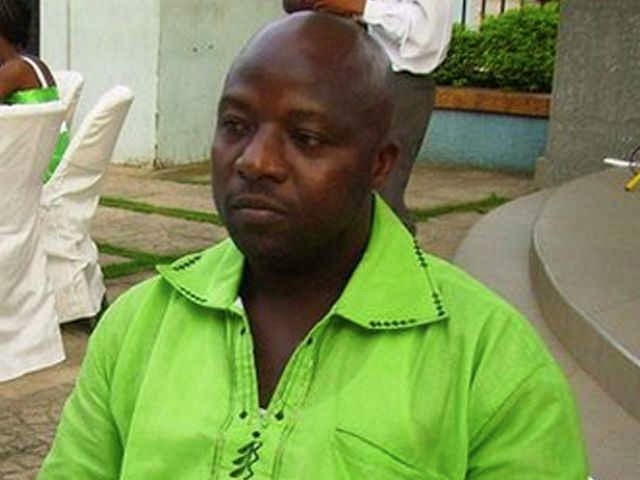 People who had contact with Ebola patient Thomas Eric Duncan before he was hospitalized are breathing a sigh of relief today. Those 48 contacts, including four family members who shared a small Dallas apartment with him, have completed the 21-day observation period without falling ill and are no longer at risk of the disease. About 10 of the 48 contacts were considered to be a higher risk because of their closer contact with Duncan. Ebola has an incubation period of up to 21 days, according to the World Health Organization. People who are exposed to an Ebola patient who don't become sick during that time are considered to be out of the woods. That's welcome news to Dallas and U.S. public health officials, who have struggled to contain Ebola since Duncan's diagnosis at Texas Health Presbyterian on Sept. 28. Duncan died Oct. 8. Last week, two of Duncan's nurses were diagnosed with Ebola and have been moved to specialized hospitals. Other health workers who treated Duncan during his hospital stay continue to monitor themselves for fever and other symptoms. In Spain, a nursing assistant appears to have recovered from the Ebola virus, the Associated Press reported Sunday. The good news for Duncan's family should also reassure Americans about a fact that public health officials have been emphasizing for weeks -- that Ebola is not spread through casual contact -- said Robert Murphy, director of the Center for Global Health at Northwestern University Feinberg School of Medicine. not just because they spent time with Duncan while he was sick but also because they stayed in an apartment with his soiled bed linens after he was hospitalized. 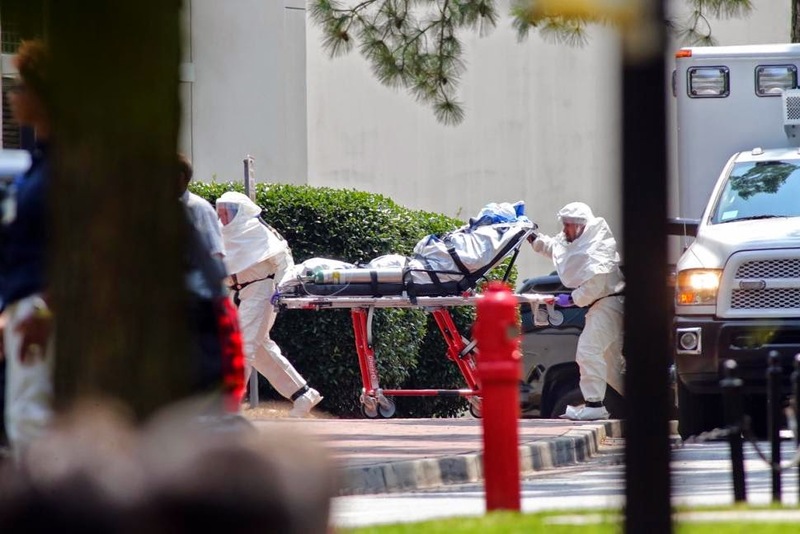 The fact that Duncan's family remained healthy even as two of his nurses became infected illustrates the peculiar nature of Ebola, said Peter Hotez, dean of the National School of Tropical Medicine and professor at Baylor College of Medicine in Houston. 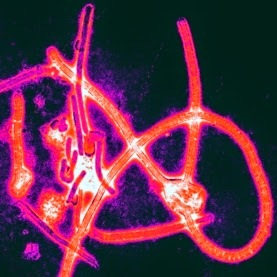 Although the West Africa outbreak of Ebola has a 70% mortality rate, the virus is actually not very contagious in the early stages of disease when people are most likely to circulate in the community, Hotez said. Ebola doesn't spread through coughs and sneezes, only through direct contact with bodily fluids. Even then, people aren't contagious at all until they begin showing symptoms such as a fever. Before symptoms appear, levels of the virus in their blood are too low to be measured, Hotez said. Yet Ebola is frighteningly infectious at advanced stages of the disease, when the virus begins multiplying out of control and patients begin producing large amounts of diarrhea, vomit and blood. At that point, even a tiny amount of blood is teeming with Ebola, which puts nurses and caregivers at high risk, Hotez said. Few people in the general community are exposed to Ebola patients who are that contagious, because patients at that stage are usually too sick to move around. Most are hospitalized if a bed is available. In West Africa, patients who can't get to a hospital are bedridden and typically attended by relatives. Those aspects of Ebola help explain why, on average, people in West Africa spread the disease to only one or two other people, said Paul Offit, chief of infectious diseases at Children's Hospital of Philadelphia. In contrast, people with an airborne virus such as measles can spread the disease to 14 susceptible people. Ebola has spread in West Africa because of burial rites that aren't practiced in the USA, in which relatives of the deceased touch the body and prepare it for the grave. Only about 15% of Ebola cases in West Africa involve children, reflecting the fact that children are rarely home caregivers, Offit said. A man died on a plane from Nigeria landing at Kennedy Airport in Queens early Thursday, sparking fears that the deadly Ebola virus had finally touched down in New York, sources said. Centers for Disease Control and Health Department members in protective gear swarmed the Arik Air flight landing at JFK’s Terminal 4 after the 63-year-old man, a U.S. citizen, died on the plane about an hour before landing at 5:45 a.m. 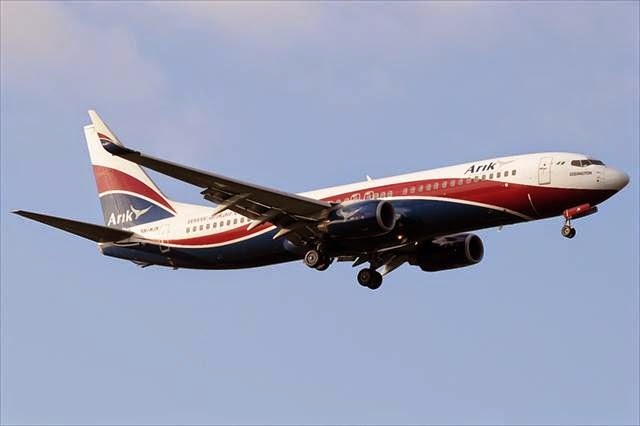 The Arik air plane had departed from Lagos, officials said. The man, who was traveling alone, was vomiting profusely and complaining of chest pains before he died of an apparent heart attack, a Port Authority source said. Passengers were held on the plane for about 45 minutes after arrival as CDC officials determined that the dead passenger didn’t have the disease that’s infected more than 7,500 people in the West African countries of Liberia, Sierra Leone, Guinea and has recently surfaced in Dallas. The United States has recently been hit by the deadly Ebola virus that has ravaged parts of West Africa in the past months with three cases diagnosed on U.S soil and five others infected in the West Aftrican outbreak treated in the U.S.
About 3400 people have died from the outbreak as the world continues to fear a pandemic. 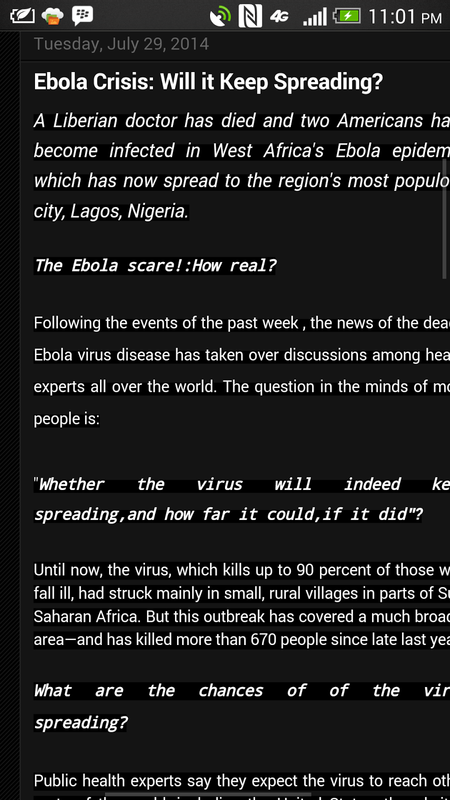 Ebola: Containing The Spread...How Feasible? Nearly 3 months ago, the news of a Liberian-American infected with the Ebola virus entering into Africa's most populous nation, Nigeria filled the air and the spotlight was on the African continent, particularly the West African countries; Guinea, Sierra Leone and Liberia that had been ravaged by the outbreak of the deadly disease many months before one of Africa's biggest economies was hit by the news of the "immigrant" index patient ; a remarkable 38 years after the first recorded outbreak in the Democratic Republic of Congo in 1976. Fears were raised at the time as to the the likelihood of the virus to spread to other parts of the world as many believed the alarming spread in the lesser developed West African countries may have been due to sub-standard level of their healthcare systems. HOW MUCH ATTENTION AND ASSISTANCE DID THIS COUNTRIES REALLY GET FROM THE INTERNATIONAL COMMUNITY before the Nigeria incident was reported late July? In a Medic-ALL blog post titled "Ebola; Will it Keep Spreading" at the outset of the now aborted outbreak in Nigeria, it was reported that Public health experts expect the virus to reach other parts of the world including the United States but unlikely to spread in regions with well-funded hospitals and standard infection-control procedures. Barely months later and the news of the first case diagnosed in the United States and then another case of an infected healthworker in Spain were reported, raising worldwide fears of a pandemic if more austere measures are not in place to contain the virus and its spread from continent to continent. ARE WE REALLY WINNING ? More disturbing news emanated yesterday, with the United States confirming a second case involving a female nurse at the Texas Health Presbyterian Hospital infected as a result of an unknown breech in hospital Protocol and was confirmed positive for the virus on Sunday afternoon according to the CDC. She is said to have attended to Duncan (the first U.S patient) after his second visit to the emergency room on September 28 and followed all CDC precautions including wearing of masks ,gowns, gloves and protective face shield. The CDC's Thomas Frieden in a statement outlined several steps taken to care for the health worker and prevent the infection of others, he however said more cases of the deadly virus may be likely. There is no doubt that we are dealing with a highly transmissible and truly lethal disease that deserves worldwide attention. The question of whether the virus will "Keep spreading" seems to be getting answered on a daily basis and the staggering figures of the lives that have been claimed so far, particularly in the West African region is enough to put the whole world on our toes. Containing the spread of the virus in countries with reported cases is most paramount at this stage and it is obvious that this will require not just a "well-funded healthcare system" but a step up in our standard infection-control procedures worldwide, as Frieden highlighted that taking off protective equipment- gowns, gloves, face masks and goggles is one of the greatest areas of contamination and risk. Certainly there is need for a new note of urgency to this outbreak , this cannot be over-emphasized. 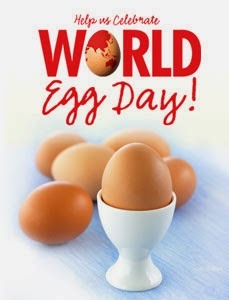 Today, we join the whole world in celebrating the World Egg day being the 2nd Friday in the month of October. A day established by the International Egg Commission (IEC) at the Vienna Conference in 1996. The World Egg day serves as a unique opportunity to help raise awareness on the benefits of egg and is celebrated in countries all around the world. Eggs are a common food source and have been eaten by humans across the world for thousands of years. They are produced by the female species of many animals but by far the most common choice for consumption is the eggs of chicken. Eggs are one of nature's highest quality sources of protein and contain many key ingredients of life. Hence, several health benefits ranging from brain and muscle development to disease prevention can be derived from egg consumption. A healthy immune system: Egg contains vitamin A, vitamin B12 and selenium which are key to keeping the immune system healthy. Reduces risk of heart disease: Egg is an excellent source of choline which plays an important part in breaking down the amino acid called homocysteine, which is associated with the development of heart disease. People are advised not to eat raw or undercooked eggs. Bacteria can enter the egg through pores in the shells. Eggs exit the bird's body via the same passageway that feces are excreted from and so there is a risk that bacteria such as Salmonella could enter the egg at this stage. Bacteria can also enter the egg if they are present in the bird's reproductive tract before the shell has formed around the egg's contents. 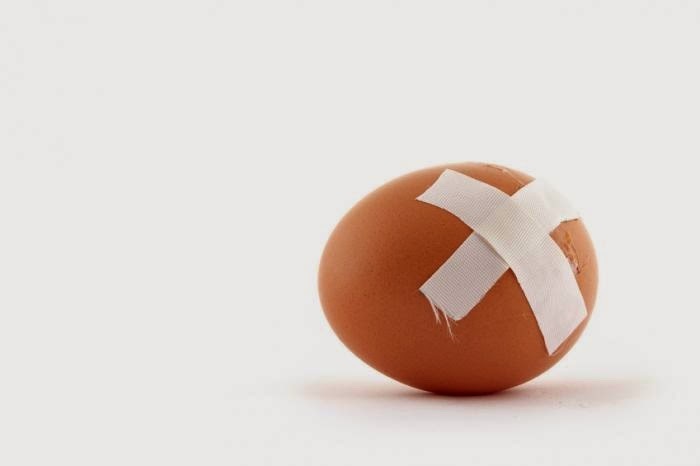 Eggs should be avoided if their shells are cracked or if they are out-of-date. Most advisory bodies recommend that eggs are stored in the refrigerator. if eggs are left out at room temperature they can sweat, making it easier for bacteria to move into the egg and grow. Eggs with cracked shells should not be eaten except the cracking occured while cooking. Washing eggs is not recommended as this can not only lead to water getting into the egg through the pores of the shell but also remove the protective coating that is put on the outside of the shell by the bird that lays it. When cooking eggs properly, they must be cooked thoroughly until the yolks are firm. Scrambled eggs, for example, should not be runny. If an egg floats in water, it will have enough air within it to keep it buoyant. Although this indicates that the egg is old, it does not necessarily mean that the egg cannot be used. The best way to check whether the egg is safe to be consumed is to crack open the shell; if the contents smell unpleasant or the coloration is unusual then it may not be safe. It is also possible to tell whether an egg is raw or hard-cooked by spinning it on a flat surface. If the insides are not cooked then they will cause the egg to wobble, while a hard-cooked egg will spin easily. Finally, we will do well not to Put All Our Eggs in one basket; it is the total diet or overall eating pattern that is most important in disease prevention and achieving good health. It is better to eat a balanced diet rather than concentrate on individual foods as the key to good health. So as we celebrate the World Egg day share this health benefits and tips with your friends and loved ones and make eggs a important part of that nutritious and balabced daily diet. 2. McIntosh, James. "What are the health benefits of eggs?. "Medical News Today. MediLexicon, Intl., 10 Oct. 2014. . The patient, who had been admitted to the hospital on September 28 after contracting the virus in Liberia, had been placed on a ventilator and was receiving dialysis in the final days before his death. The first ever baby to be born via a transplanted womb was delivered in September to a 36 year Swedish woman who was born without a womb and received a womb transplant from a friend in her early-60s. The British Medical Journal "The Lancet" reported that the baby was born prematurely last month weighing 1.8kg (3.9lb). The woman received her womb from a 61-year-old family friend. 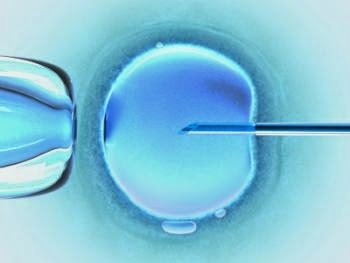 As the recipient had intact ovaries, she was able to produce eggs, which were then fertilized using IVF prior to the transplant. Absolute uterine factor infertility is considered the only form of female infertility which remains untreatable. This condition is often consequence of "Rokitansky syndrome" a condition in which a female is born without a uterus (womb). 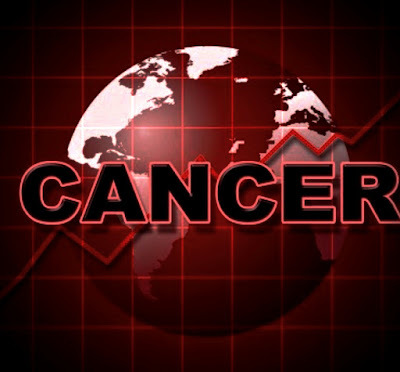 Cancer treatment is another scenario in which a woman can be left without a functioning womb. Adoption and surrogacy have proved the best options for such women in the past to have children. However, this news of a woman with Rokitansky syndrome giving birth to a baby following a womb transplant brings hope to women with absolute uterine factor infertility. The researchers from the University of Gothenburg in Sweden who performed the transplant have been investigating the viability of womb transplantation for over ten years, conducting trials on rodents and non-human primates before attempting the procedure in humans. The Swedish couplent through sessions of in-vitro fertilization (IVF) to produce 11 embryos which were frozen. Doctors at the University of Gothenburg them performed the transplant. The donor was a 61 year old family friend who had gone through menopause seven years earlier. One year following the transplant, one of the embryos was transferred into the transplanted womb and pregnancy ensued. The baby was born prematurely after 32 weeks via caesarean section after the mother developed preeclampsia (a condition associated with raised blood pressure in pregancy) and the baby's heart rate was discovered to be abnormal. The neonate was discharged from the neonatal unit 10 days after birth and reports reveal that both the baby and mother are doing well. The transplant team was led by Prof. Mats Brannstrom who described the birth in Sweden as "joyous". While he continues to work with other couples with similar needs, the happy Swedish couple still celebrating the birth of their "miracle baby boy" will soon have to decide if they want a second. In the first known case of Ebola transmission outside the shores of Africa, a Spanish Nurse has tested positive for the deadly Ebola virus in Madrid, Spain just days after the United States reported it's first case of the disease. The Spanish medical worker tested positive after treating an Africa-based missionary who had been infected with the virus and flown to Madrid, where he was been admitted at the Carlos Ill Hospital which had been specially prepared to treat the disease. Alarms are however being raised by Spanish medical-worker representatives over the adequacy of the country's medical procedures to manage the disease and prevent the spread in the country and beyond. The infected medical worker was part of a team that treated Brother Manuel Garcia Viejo, a Spanish missionary who served as a medical director of a hospital in Sierra Leone and died of Ebola on September 25, three days after he was flown into Madrid. She worked as a sanitary technician and may have being in contact with the patient once while he was alive and with with clothes after he died. She subsequently presented with a fever on September 30th, admitted at a Suburban hospital in Madrid. The infection was confirmed by two tests, the second one yesterday October 6th. As the world continues to be gripped with news of spread of the virus, we continue to hope it is contained successfully world-wide. There have been over 7400 cases reported in Guinea, Sierra Leone and Liberia mainly and the death toll has surpassed 3400 deaths in the deadliest Ebola outbreak in world history. After several months of the Ebola outbreak and devastating reports streaming out of West Africa where the deadly virus has overwhelmed already weak public health systems and left thousands of people dead, anxiety has begun to grip in the United States over the first case of Ebola diagnosed in the country, one West African nation serves as an example of hope: Nigeria, which appears to have successfully contained the Ebola virus, with no new case reported in the country since the 31st of August 2014. As concerns spread over the readiness of U.S. hospitals , there are some lessons to be learned from Nigeria, where officials managed to get ahead of the fast-moving virus after it was brought into Africa's most populous country by an Ebola-infected Liberian-American man who had flown into Lagos from Liberia for an ECOWAS meeting. As in the U.S. case, Ebola arrived in Nigeria by passenger plane. But unlike Thomas Eric Duncan — who arrived in Dallas before he became symptomatic and was therefore not contagious during his flights from Liberia to Texas through Brussels and Dulles International Airport — Patrick Sawyer was already symptomatic when he landed in Lagos on July 20. At that point, Sawyer, Nigeria's Patient Zero, was contagious and dying. It was a nightmare scenario with the potential to spiral out of control, given the bustling city of Lagos, Africa's largest, is a major transportation hub. As Sawyer was placed in isolation, public health officials had to track down every single person who'd come into contact with him, from the flights he'd boarded to the Lagos airport and the private hospital where he went after landing. And they had to do so quickly, making the process known as contact tracing a priority. "In the whole system approach in beating the war on Ebola, contact tracing is the key public health activity that needs to be done," said Gavin MacGregor-Skinner, who helped with the Ebola response in Nigeria with the Elizabeth R. Griffin Research Foundation. "The key is to find all the people that patient had direct close contact with." From that single patient came a list of 281 people, MacGregor-Skinner said. Every one of those individuals had to provide health authorities twice-a-day updates about their well-being, often through methods like text-messaging. Anyone who didn't feel well or failed to respond was checked on, either through a neighborhood network or health workers. Nigeria is said to have taken a "whole community approach," with everyone from military officials to church elders in the same room, discussing how to handle the response to the virus. Such an approach, and contact tracing in general, requires people be open and forthright about their movements and their health, he said. Stigmatization of patients, their families and contacts could only discourage that, so Nigerian officials sent a message to "really make them look like heroes," MacGregor-Skinner said. "This is the best thing people can do for Nigeria: They are going to protect and save Nigeria by being honest, by doing what they need to do, by reporting to the health commission," he said. This made people feel like they were a part of something extremely important, he said, and also took into account real community needs. "You got real engagement and compliance from the contacts. They're not running and hiding." In Nigeria, Sawyer had come into contact with someone who ended up in Port Harcourt, Rivers State That person, a regional official, went to a doctor who ended up dying from Ebola in August. Within a week, 70 people were being monitored. It ballooned to an additional 400 people in that one city. Success stories of people coming through strict Ebola surveillance alive and healthyhelped encourage more people to come forward, as they recognized that ending up in a contact tracer's sights didn't mean a death sentence. When someone is on a contact list, thatdoesn't mean that person has to stay at home for the entire incubation period of 21 days from the last contact with someone who had Ebola. People on contact lists are not under quarantine or in isolation. They can still go to work and go on with their their lives. But they should take their temperature twice a day for 21 days and check in with health workers. 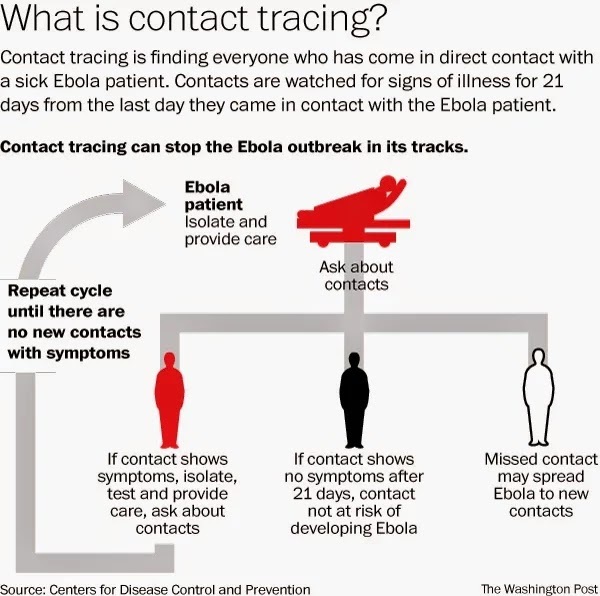 The CDC recommends that people without symptoms but who have had direct contact with the bodily fluids of a person sick with Ebola be put under either conditional release, meaning that they self-monitor their health and temperature and check in daily, or controlled movement. People under controlled movement have to notify officials about any intended travel and shouldn't use commercial planes or trains. Local public transportation use is approved on a case-by-case basis. When symptoms do develop, that's when the response kicks into high gear. People with Ebola are contagious only once they begin exhibiting symptoms, which include fever, severe headaches and vomiting. 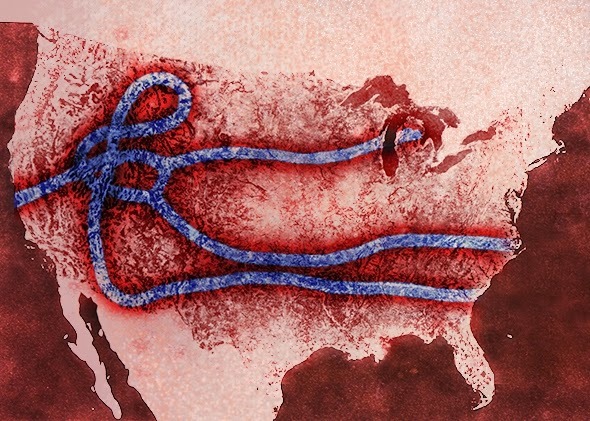 While four people in Dallas are under government-ordered quarantine, that is not the norm. Those individuals "were non-compliant with the request to stay home. I don’t want to go too far beyond that," Dallas County Judge Clay Lewis Jenkins said Thursday.On Friday, the four people were moved to a private residence from the apartment where Duncan had been staying when he became symptomatic. A law enforcement officer will remain with them to enforce the order, and none of the people are allowed to leave until Oct. 19.